Rhapsody has a new trick up its sleeve, and it’s a clever marriage of human curation and social networking that also helps you find new music. Listener Network creates playlists of new music it thinks you’ll enjoy, which change daily. Those playlists are based on your listening habits, but there’s also a deeper integration with the community. On playlist tracks, you’ll see the user Rhapsody sourced the track from. It pairs your listening habits with other users to curate a playlist for you, and lets you view profiles via the playlists. There’s even a new rating on profiles that tells you how musically compatible you and that person are. If you find they like the same weird mix of music, you’re free to follow them. You can also view public playlists on profiles, as well as what that user has been listening to that week. If you follow a user’s playlist, it shows you who else is following that playlist — and the cycle starts over again. Listener Network a smart blend of human curation and machine learning, and uses Rhapsody’s existing Music Intelligence Engine to power the entire experience. It also saves Rhapsody the time and expense of curating playlists on their own as Apple does for Apple Music. It should also make it harder for Rhapsody’s 3.5 million subscribers to walk away. 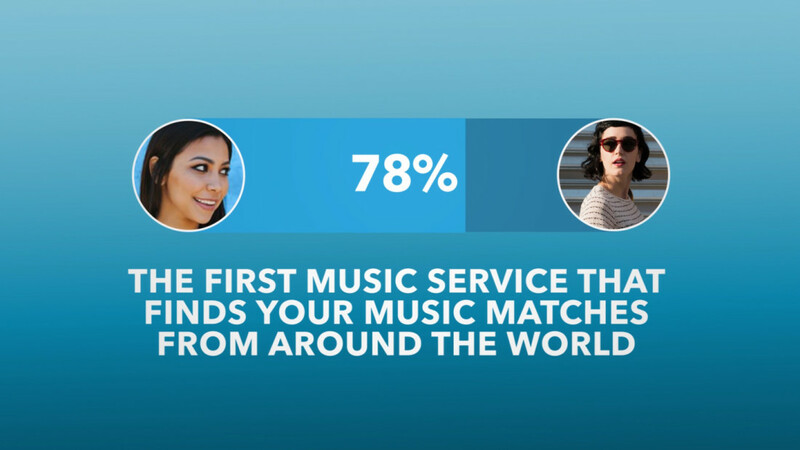 By forging relationships with other users — even through music — they may feel more connected to the service by virtue.